Until his death at the age of 106, Tyrus Wong was America’s oldest living Chinese American artist and one of the last remaining artists from the golden age of Disney animation. The quiet beauty of his Eastern-influenced paintings had a pioneering impact on American art and popular culture. 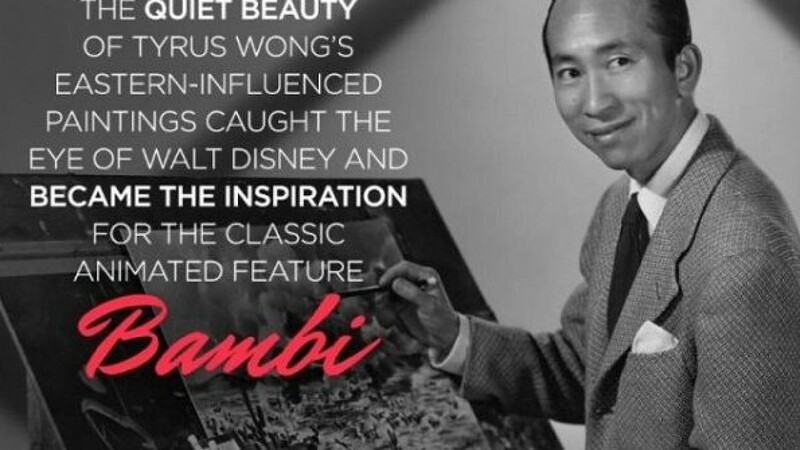 After leaving Disney, Tyrus Wong joined Warner Bros. and began painting scenes based on screenplays. He would continue working for Warner Bros. for 26 years, helping set the stage for thousands of films.